She says learning of the deadly shooting in Orlando was "the most surreal phone call I'd ever received"
Barbara Poma, owner of Pulse nightclub, where 49 people were killed early Sunday morning, promised Monday that the club will "always continue to be the heartbeat of Orlando," NBC News reports. "I will not let hate win," said Poma, who told NBC News she started the gay nightclub 14 years ago to honor her brother, John, who died of AIDs in 1991. 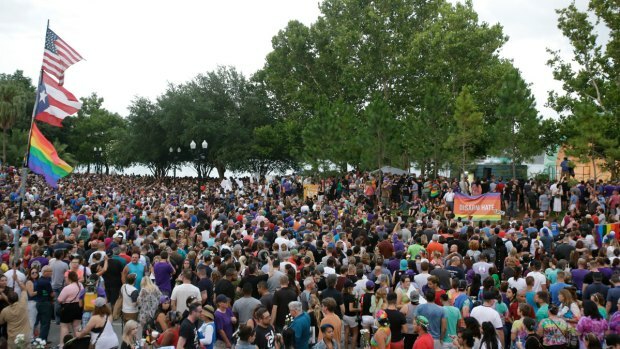 "For nearly 14 years, Pulse has served as a place of love and acceptance for the LGBTQ community," she said. "It should be the last place for such a tragedy." Poma said that she learned of the shootings Sunday from the club's manager in what she called "the most surreal phone call I'd ever received."